This Saturday night, Andre Ward will put his WBC World and WBA "Super Champion" belts at super middleweight, as well as his undefeated record, on the line against WBC World Light Heavyweight Champion Chad Dawson in Oakland, CA. Dawson's title will not be on the line, as this bout will be fought at super middleweight. While it's not expected to be a barn burner, it should be an excellent, technical boxing match that will be fought at an extremely high level. So, who's going to win and why? Let's take a look at each fighter. When you look at Andre Ward, there aren't really any glaring weaknesses. He's basically a technically perfect boxer, with strong defensive abilities and modest punching power, and strong defense as well. His hand speed is near elite and his foot speed is second to none. Ward's really difficult to hit cleanly; it almost looks like he isn't trying sometimes as he ducks and weaves to avoid punches. He's just naturally gifted and hasn't lost a fight since he was 12 years old, which is truly amazing. Ward's a great all-around fighter, there's no other way to slice it. In Chad Dawson, you have a fighter who is very similar in style to Ward. He has all the same abilities, and he is just as quick and strong as Ward. The only real difference between their styles is that Ward has shown the ability to adapt and fight against any style, while Dawson prefers to stay on the outside and doesn't really like to exchange in close. This could ultimately be Dawson's downfall. If Ward can get inside and rough Dawson up, Chad may not know how to respond. If Dawson can't stay on the outside, it's going to be very difficult for him to defeat Ward. He'll need to utilize his height advantage and stay on the outside and work his jab to control the pace. At the end of the day, I don't think Dawson will be able to do so. Ward's just too good and will adapt to whatever Dawson brings, making him too uncomfortable to win enough rounds to take the fight. I'm calling it a close but clear win for Ward, in the neighborhood of 116-112. 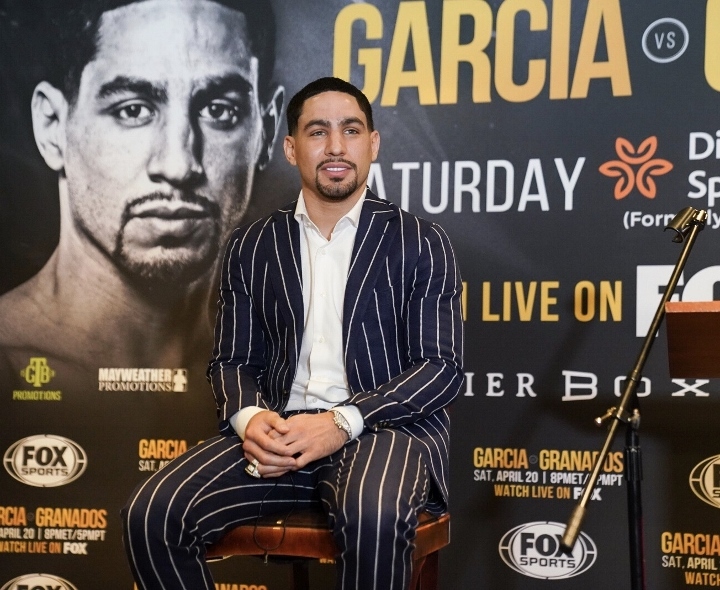 Danny Garcia: When I'm at My Best - Nobody Can Beat Me!